This Mediterranean salad makes great main course or starter. 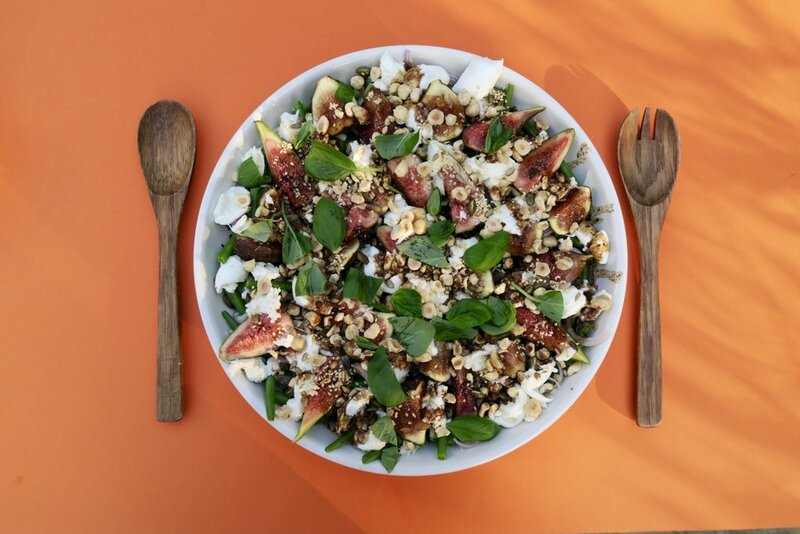 It’s abundant with many health benefits, especially the plump figs which are wonderfully high in fibre and a great source of essential minerals, including magnesium, calcium and potassium. Sprinkle over nuts and seeds and you get the power of protein too. Feta, or mozzarella cheese both combine nicely with this salad. In a large saucepan of lightly salted water, blanch the beans for about 3 minutes until just tender. Drain, rinse in cold water, then pat dry on a clean tea towel. 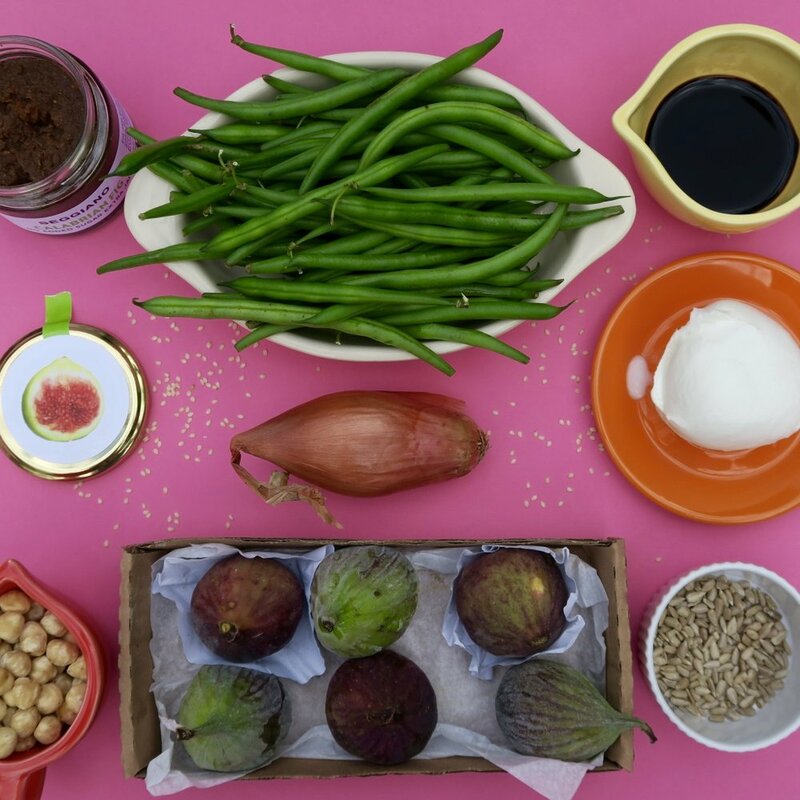 On a serving plate arrange the beans and top with the figs, cheese, shallots, hazelnuts, seeds and basil leaves. In a small jug or old jam jar with a screw lid, add the vinegar, fig jam, olive oil and season. Whisk with a fork or shake the jar well and drizzle over the salad just before you serve.